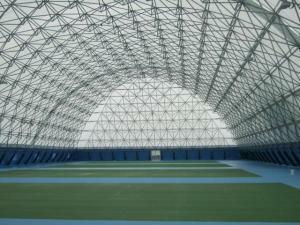 The PVC cover of the Indoor tennis courts in Portsmouth is an excellent example of the durability and permanence of a tensile fabric membrane. 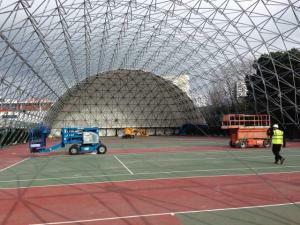 After 20 years having outlived its original design lifespan the tensile fabric roof needed replacing and Custom Covers were asked to assist with its replacement. Following discussions with the client, a type II PVC coated polyester, similar to the original, was chosen for the roof skin of the structure, due to its durable nature and long lifespan. The opportunity was taken to improve the ventilation within the structure by adding mesh walling and sliding walling panels. 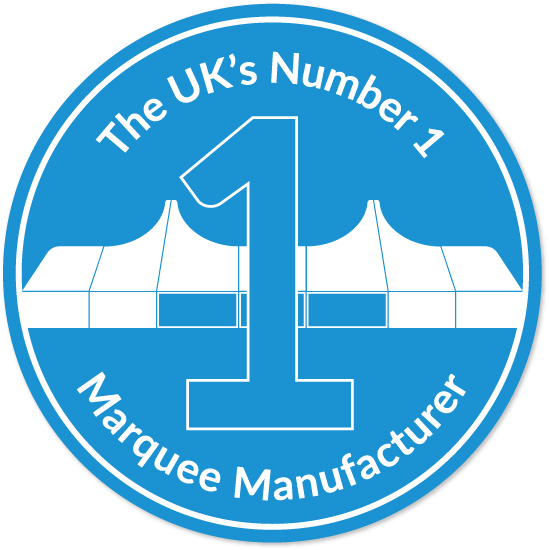 The cover of this 75m x 35m structure used over 3,500 square metres of fabric and 6,500 meters of lacing and weighed in at over 3 tonnes. The Navy gave Custom Covers the go ahead for manufacture of the replacement cover in December 2012, and had specified a tight deadline in order to get the project completed before the end of March 2013. The building was also being transferred from Portsmouth Council control back to Royal Navy control and is used by a variety of local schools and clubs. It was therefore necessary to minimise the time the courts were unavailable for use. There were many aspects of the installation that proved challenging. The initial plans to lift in the fabric elements by crane had to be changed when the City Council banned any road closures during the refurbishment period. 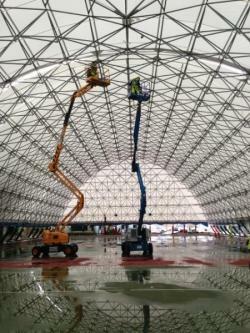 An alternative installation method had to be developed taking account that each of the roof panels weighed over 1 tonne. The British weather also did its best to complicate the install with biting cold and storm force winds during the build.